For the people of Indonesia, especially the population of Java would have been familiar with the name of this mountain, the Mount is located on the border of Central Java and Jogja is indeed a lot of mystery stories, whether true or not this mystery is still a myth that is trusted by the community. Until the beginning of the second millennium the filmmakers in one of the private TVs are interested and make a soap opera, with the main character Mak Lampir. The story of the mystery of Mount Merapi is still interesting to discuss especially for you who like with mystical and unseen things. 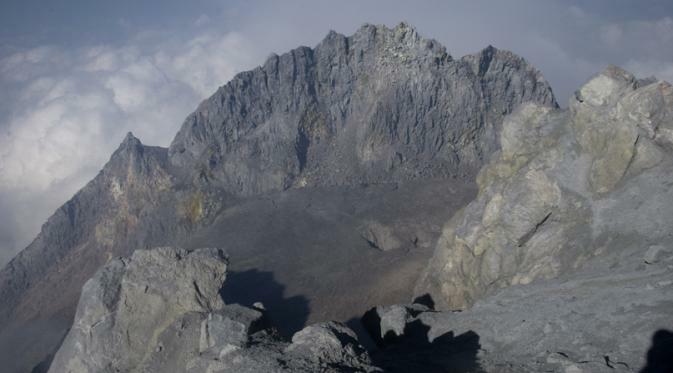 In addition to the mystery story that enveloped it, Mount Merapi has its own uniqueness from other mountains in even the world. That eruption is very frequent and has a cycle of 2-4 years and a large eruption every 10-15 years. One other uniqueness is the fact that it is only in the volcano of one of the world's active volcanoes that there are villages and active inhabitants. 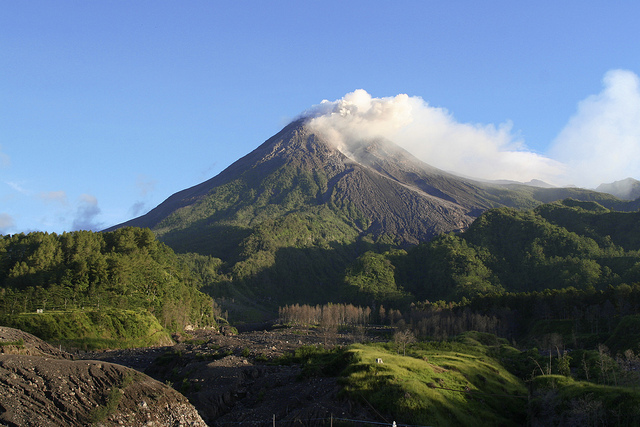 Although dangerous, most of them choose to live on the slopes of Merapi because alsan soil fertility. With fertile soil they can grow crops and graze cattle in the area. The bubrah market in Javanese means the market is destroyed or chaotic. The word does describe this mystical location where there are only barren rocks, and a cliff without trees. . The location is located under the crater of Merapi is believed to be a haunted location that is often used as a place for spirits to gather as busy as the market. 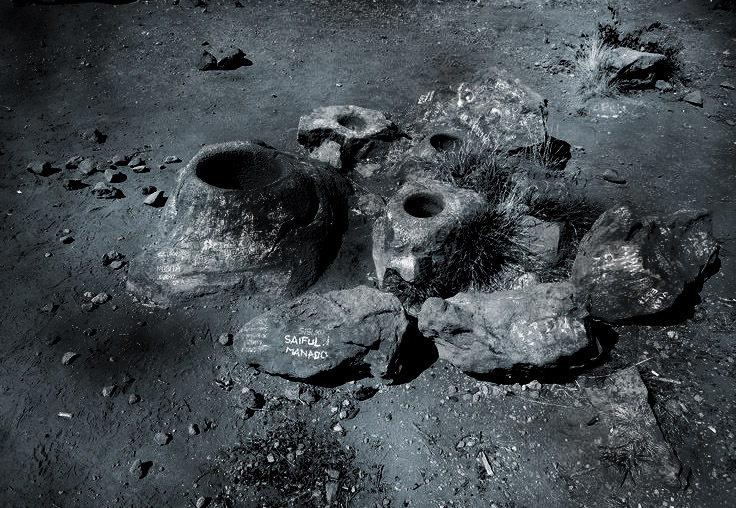 Scattered rocks are believed to be the seat of the spirits when doing the activity. Not a few of the climbers who tell their mystical experience when camping or passing this place. At midnight night, there was a loud noise like crowds and even Javanese gamelan music sometimes heard among the crowds. In addition, the appearance of spirits also accompanied the experience of climbers, many of them who saw a figure hanging on a cliff and a long-haired creature across the place. The local people urged the climbers not to try to harass or say rude on the spot if they wanted to return safely. Watu Wutoh in Javanese stone language intact, often called Wutuh Mountain, according to local belief is a very haunted place because the place is the main gate to the Merapi Palace, the kingdom of Eyang Merapi guarded by Nyai Gadung Melati. Nyai Gadung jasmine is the leader of the merapi army in charge of guarding the environment around the kingdom. He uses jasmine-patterned green clothes, sometimes appearing to the surrounding villagers through dreams. Before Merapi erupted the local people always get wangsit through the dream. 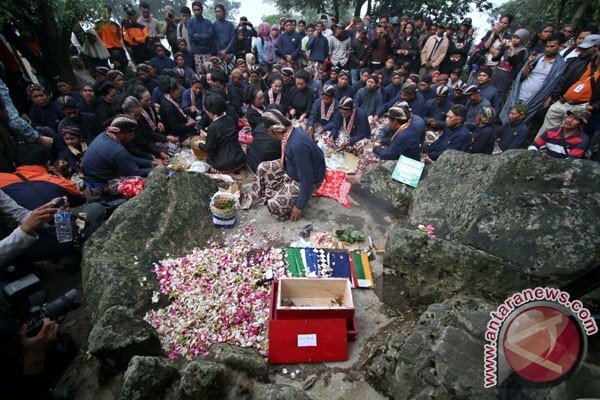 So that citizens are always wary if dreaming visited Nyai Gadung Melati. This bunker is located in the hamlet Kaliadem, village Kepuharjo, District Cangkringan, Sleman Jogjakarta, measuring 12x8 m buried 3m in the ground. In the bunker there is a bathroom oxygen tube and lighting lamp. 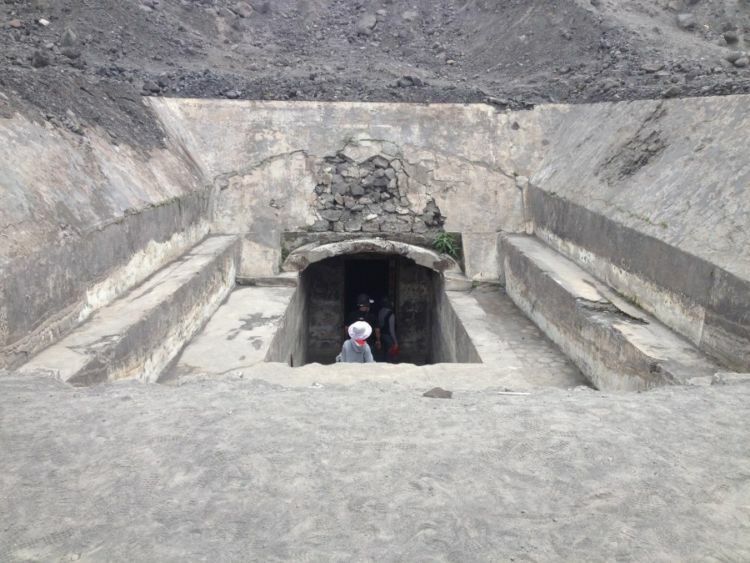 This place is commonly used to shelter from the eruption of Merapi, but now this bunker is no longer used because it is no longer safe to use. For example, in the 2006 eruption, 2 victims were found to be unable to withstand the heat from the lava that reached 600 degrees Celsius enveloped bunker.The mystical story is attached to this place, which is the sound of a mysterious cry. Local residents often hear the sound of crying in the afternoon. Tourists also experience a mystical experience when going to leave the bunker he hears the sound of crying from inside the bunker. If you have guts you can prove yourself. This stone is located near the rim of Gendol river. It sounds unique, whatever the background of the Alien stone name. But if at first glance this stone is a bit like a human face. What is clear this stone emerged after the eruption of Merapi in 2010. Possibility of this stone is one of the rocks that vomited from the crater of Merapi when the eruption occurred. Stone Erri is a silent witness where the climber is taking pictures before finally falling into the crater. The climbers named him Stone Erri to commemorate the tragic tragedy experienced by Erri Yunanto. Stone towering on the peak of Merapi is indeed very dangerous considering the exact location of the edge of the crater of Merapi. After the tragedy of Erri, the climbers did not dare to climb the stone. 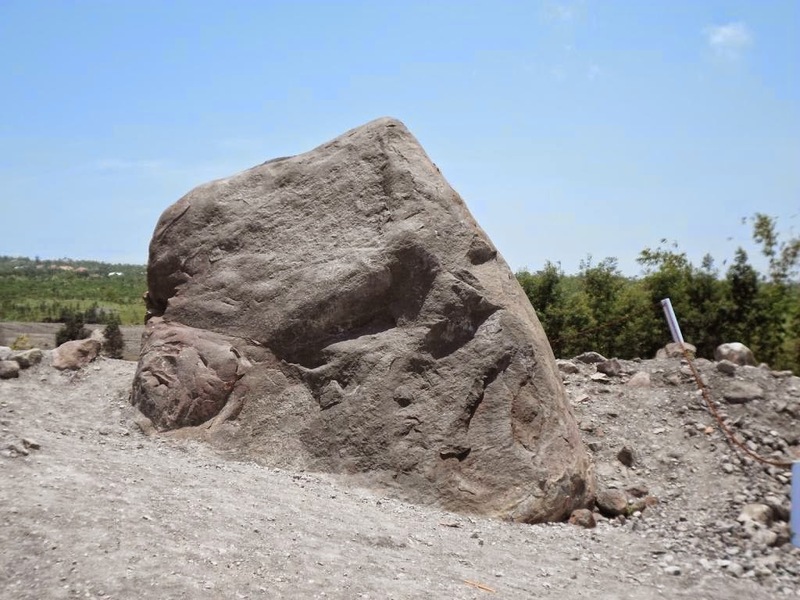 In addition, according to local residents the stone is indeed strange, because it is similar to the stone that used to be the peak of the eagle that erupted because of eruption in 2010. 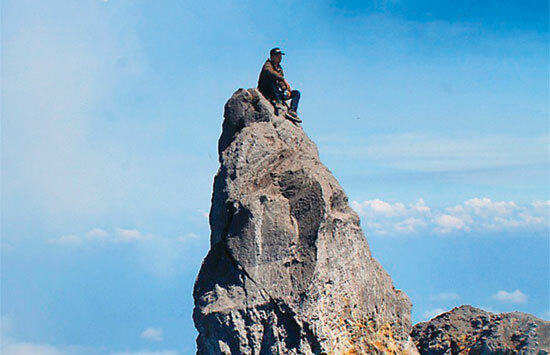 Keraton Merapi is the magical kingdom of Mount Merapi inhabitants. It is said that when the keraton merapi kingdom to help the kingdom of mataram destroy the kingdom through the eruption. For his services, the Sultan Hamengku Buwono X always holds religious rituals every year. The ritual contains a prayer of salvation and offerings for the genie of the Merapi palace. Eala Sweep Jagat: As the controller of the eruption of Merapi ..
Nyi Gadung Melati: The royal gatekeeper. Ki Antaboga: Regulator of the natural balance of Merapi. Kyai Petruk: Giving to the people when Merapi will erupt. Thus some of the mysteries of the volcano are much discussed by the community. Believe it or not, go back to each of us. If you are a skeptic of superstitious things you can try and prove yourself and better be able to conclude in the scientific side so as to be a more useful learning.